Handmade collage. 20x30cm/8x12inch. 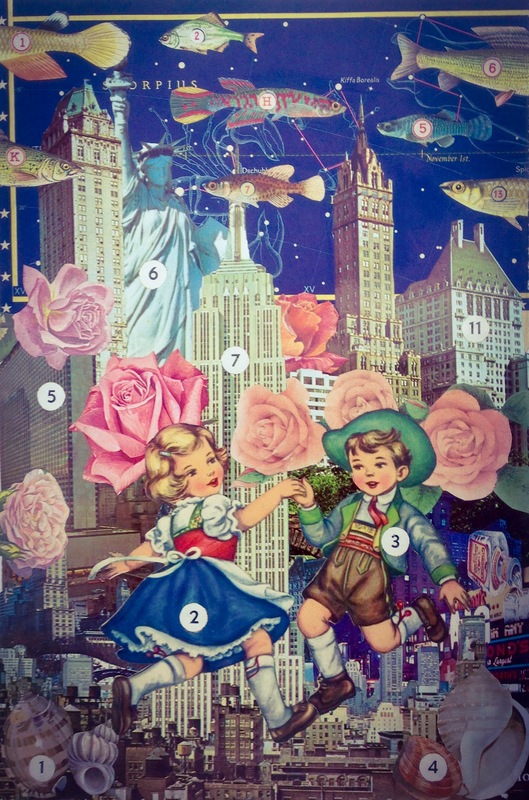 Images of Souvenir Book of New York from 1963 and more then forty other illustrations from various vintage books.